A number of Mobilians have already been making use of Nextdoor — a smartphone application that creates a social network for local neighborhoods. Now, a new feature on the platform called “Forward to Police” will allow residents to send their crime and safety posts and urgent alerts directly to the Mobile Police Department with the swipe of a finger. 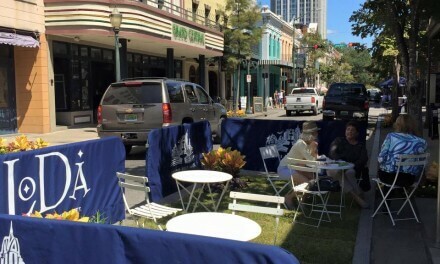 The MPD has partnered with Nextdoor since 2014, but the new feature will make communicating with the police force more simple and user-friendly for the more than 180 neighborhoods — 84 percent of the city — already on Nextdoor. Police did say that “Forward to Police” should not but used as a replacement to existing emergency reporting systems, urging any resident in need of emergency assistance to always call 911. However, MPD said the easy-to-use smartphone application is perfect for letting police know about any criminal activity, potentially criminal activity or safety concerns in local neighborhoods. Each Mobile neighborhood has its own private Nextdoor neighborhood website, accessible only to residents of that neighborhood, all members must verify their residence within a neighborhood before joining Nextdoor. 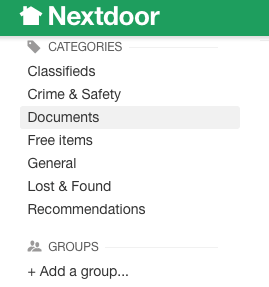 Any information shared on Nextdoor is password protected, and it’s up to each neighborhood establish and self-manage their own Nextdoor website. Mobile Police Department will not and cannot access residents’ contact information or content unless it is part of a crime and safety post or urgent alert sent through the Forward to Police feature before local authorities can gain access to their content. Anyone interested in joining the Nextdoor website for their neighborhood can visit www.nextdoor.com and enter their address.